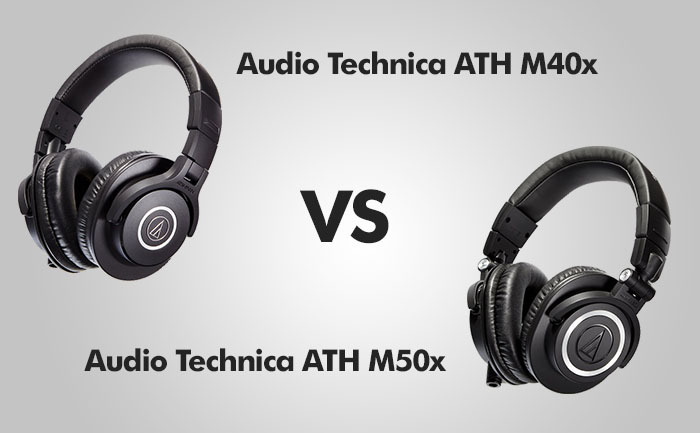 This time we will compare two pairs of headphones from Audio Technica: M40x and M50x. There are some differences between these two models, but is M50x really that much better to pay 50% more than for M40x model? You will find these answers below, with a comprehensive rundown of the similarities and differences between these two models across all the most important categories, from build quality, to comfort of use, sound quality and more. Let’s find out whether the higher price of M50x is justified, or maybe you would be better off sticking with the cheaper M40x. Both headphones are closed. It means that they don’t leak too much sound to the outside world as open headphones do. If you are interested in the latter type of headphones, check our review comparing two models from Sennheiser: HD 558 and 598. 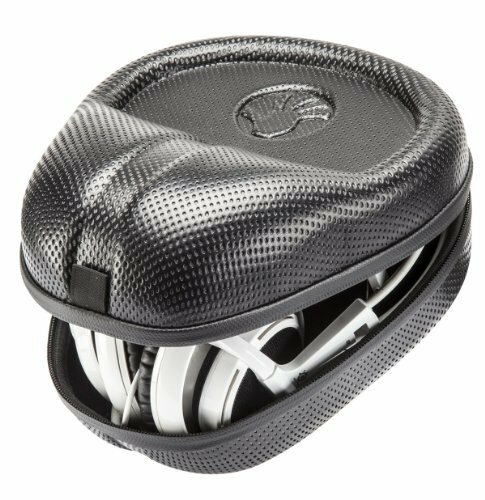 When it comes to headphones build, they are made of sturdy plastic with a matte finish. But it’s not a cheap plastic. They definitely won’t win a beauty contest but are not ugly either. They just don’t look as fancy as some other, more expensive headphones. Both models feel very durable, so they aren’t going to break easily unless you are a real headphone abuser. Another thing that makes them more durable is a flexible band made of stainless steel. You can take these headphones on a trip and they will stay in a perfect shape, even after months of use. Both headphones offer additional cables. M40x offers a total of 2 and M50x 3 cables. The attachment systems seem very durable as well. Enough about similarities, let’s talk about differences. The main difference is weight, M50x weight 45g more than M40x (240g to 285g). The next difference that I’ve noticed is ear cups rotation. Both models have this feature, but M50x can rotate 180 degrees and M40x only 90. In my opinion, M40x looks a bit cheaper than M50x, but this is just a matter of taste. The comfort of these headphones improved a lot for all X models. They offer softer cushions, which make them more comfortable, especially after a prolonged use. Even if you wear glasses, you won’t have a feeling that they are pressed to your head too much. Both headphones have removable cables, which is very nice. Not only you can replace a cable (they snap nicely), but you can also switch them, depending on whether you need longer or shorter cords. The leather on the band is soft and comfortable. Because they are over-ear closed headphones, they completely cover my ears and prevent sound from leaking outside. They are great to use in quiet places, such as a library. M40x weight less than M50x (240g to 285g). It doesn’t seem like a lot on paper, but M40x feels much lighter, making them more comfortable than M50x, especially if you use them for 8h+ gaming sessions. If you haven’t had this type of quality headphones so far, you will be amazed how many new sounds, that you haven’t heard before, you will discover. Doesn’t matter whether you play FPS, listen to music or watch movies. You will hear every individual instrument with higher clarity than ever before. You don’t need an amp to get great sound out of these headphones, but when you use one you will provide a noticeable improvement in audio quality. Both models will definitely improve your listening experience. The frequency response in M40x is flatter and they are not as bass heavy as M50x, making them good monitor headphones. M50x has a great bass. It’s not overly exaggerated, so these headphones are ideal for games, movies, and music. 10 feet long straight cable. If you travel a lot you can also buy a carrying case. M40x and M50x foldable design will allow them to fit tightly and won’t use too much space. 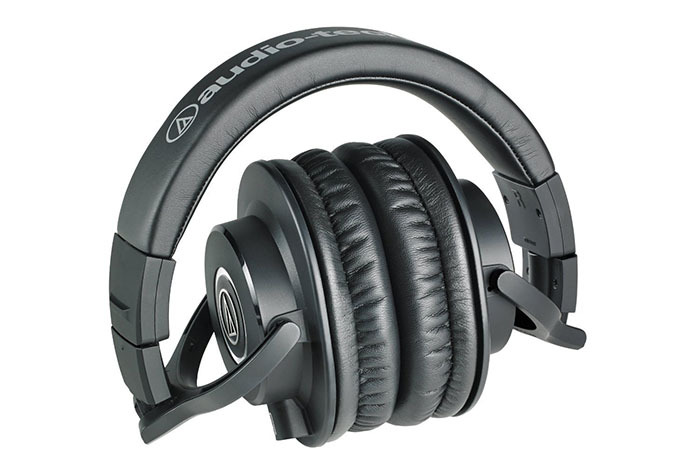 PROS: Good monitor headphones (flat frequency response) / Light / 2 cords in a package / Detachable cord / Comfortable. PROS: 180 degrees swivel / Punchy bass / 3 cords / Detachable cord / Good sound isolation. CONS: Tight fit (not for big heads) / Only 90-degree swivel. CONS: Heavy.